Mark S. Bacon drew some of the inspiration for his new suspense novel from early in his career. He covered the police beat for a southern California newspaper and later wrote ads and commercials as a copywriter for Knott’s Berry Farm, a large theme park. He’s written for radio, TV, the web, magazines and for newspapers, most recently as a correspondent for the San Francisco Chronicle. 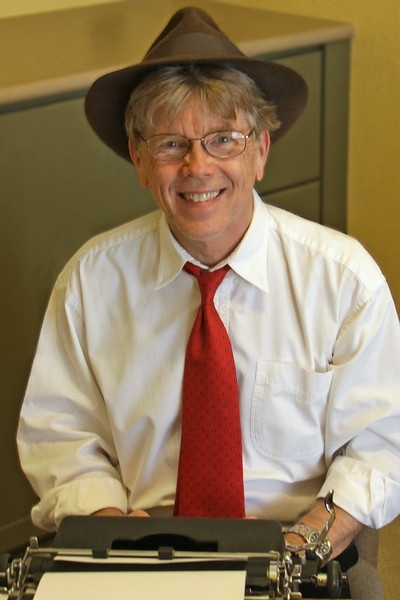 He has an MA in mass media criticism from UNLV and taught journalism as an adjunct university professor. He is the author of several business books, one of which was selected as a best business book of the year by the Library Journal and printed in four languages. Before tackling his debut mystery novel, he published two collections of mystery flash fiction stories, including Cops, Crooks and Other Stories in 100 Words. First sentences have always fascinated me. Dickens did a pretty good job with A Tale of Two Cities. Do all authors—particularly mystery authors—grab your attention and draw you into a story with a sentence or two? Not always. When I wrote for newspapers, I’d usually spend a long time on the lead, particularly with feature stories. It would often take me as much time to write the lead as it did for the rest of the story. That first sentence not only enticed the reader, but it gave me a theme or focus that I needed to complete the story. So, when I wrote my debut mystery novel, I paid particular attention to the first sentence. And I looked around for good examples. It was about eleven o’clock in the morning, mid-October, with the sun not shining and a look of hard wet rain in the clearness of the foothills. But as her career progressed and her sales soared, her first sentences became more prosaic. All she really needed to hook you was bring on stage one of her two famous detectives. 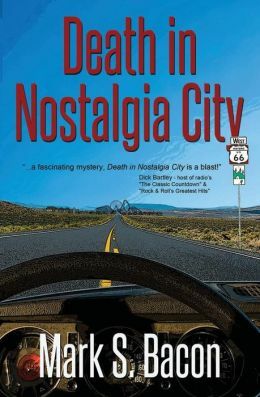 My new novel, Death in Nostalgia City, takes place in a re-creation of an entire small town from the early 1970s. This baby boomer theme park is complete with period cars, clothes, music, shops, restaurants, hotels, fads—the works. To start the story, I wanted to intrigue the reader with this setting and get my protagonist in on the action. A tall order. Whose idea was it to replace the chrome knobs and push buttons on car radios with touch screens? Lyle didn’t have a clue. As for Dickens, that memorable first sentence was actually 119 words long, an entire paragraph, setting the stage for the novel’s contrasts. This entry was posted in Blog Tour, Guest Blogs. Bookmark the permalink. ← An Interview with Laura Childs—and a Giveaway! The opening line of my new novel, “The Perfect Coed, has earned some high praise: Susan Hogan drove around Oak Grove, Texas, for two days before she realized there was a dead body in the trunk of her car. And it was another three days before she knew that someone was trying to kill her.” It took about twenty rewrites to get that sentence. So, how did the body get there? Therein lies the tale. Nice start, Judy. It is so nice to meet a fellow Christie afficionado. She is the entire reason for my ‘clean’ mystery stories. Keep up the good work. Was interesting perspective on your journey. Appreciate your candor. My third book has the most provocative first sentence, it won’t be out until February or March. This is an interesting topic. Thanks.